Ernesto Valverde is coming to FC Barcelona! After four years in charge at Athletic Club Bilbao, he’ll be taking on the role of FCB manager next season. But he’s no stranger to the interior workings of the Camp Nou. 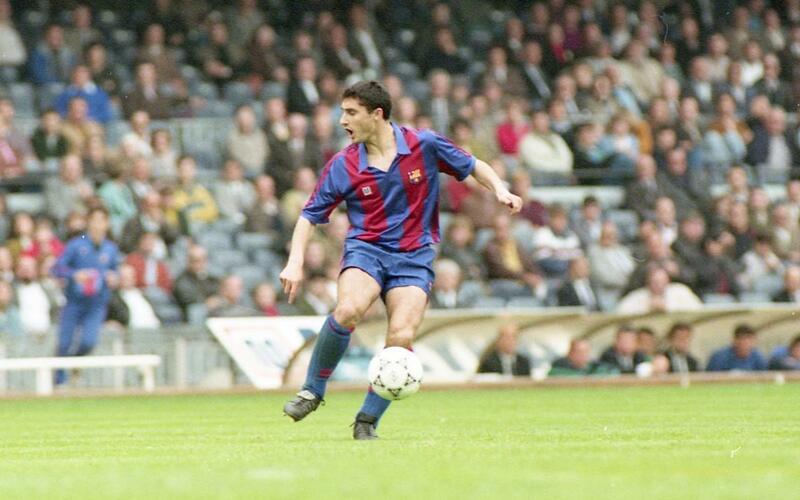 Back in his playing days, 27 years ago, he came to Barça from neighbours Espanyol and played for two seasons under Johan Cruyff from 1988 to 1990. He was used in 29 games, scoring ten goals. Not a bad return at all – six of those coming in his second season, in which he was only used in 12 games, including braces against both Sporting Gijón and Valencia. And some of those goals were pretty darn good too, as you can see for yourself by clicking on the video above. Injuries were not kind to the striker during a spell in which Barça collected the Cup Winners’ Cup and the Copa del Rey, after which he left for Athletic, the club where he spent most of his playing career. He could leave the Camp Nou able to say that Barça has never lost a game while he was on the pitch. Meanwhile, the bulk of the squad with which he’d shared a dressing room at Barça would go on to play a part in the Dream Team era, winning four consecutive leagues and the club’s first ever European Cup in 1992.